Just because you’re roughing it doesn’t mean that it has to feel rough. A North Face tent makes your camping trip easier with easy-pitch designs to get your site set up in record time so you can spend more of your time enjoying the great outdoors. 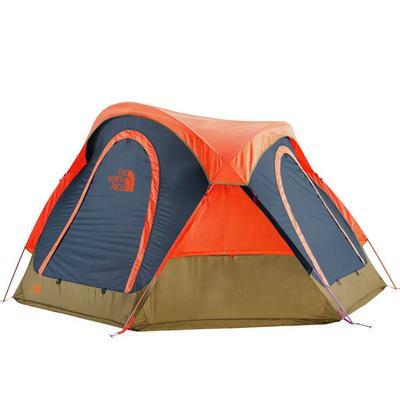 Steep walls on The North Face tents provide for ample headroom and great ventilation. Rainflies keep the moisture out on cloudy nights- or remove the fly on clear nights and gaze at the stars as you drift off to the sound of nature. Multiple doors make it convenient for everyone to get in and out without disturbing your fellow campers. 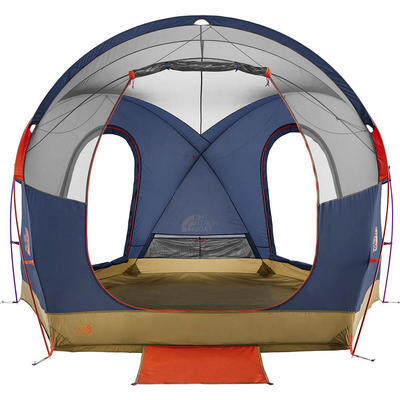 The inside of North Face tents feature internal mesh pockets store your headlamp and sunglasses while a North Face Tentertainment center lets you watch your favorite movies on your tablet. North Face tents are durable and pack down for easy storage in duffel style bags making it easy to throw in the back of your car or back into your pack when it’s time to journey on to the next adventure. 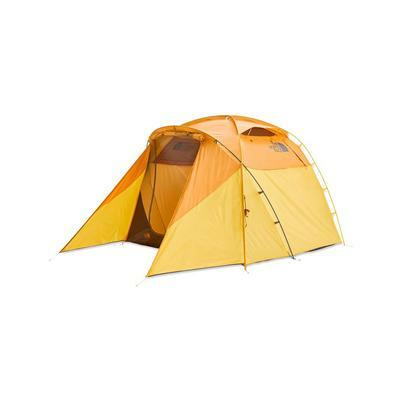 A North Face tent is for the glamper, the weekend warrior and the all-seasons adventurer. 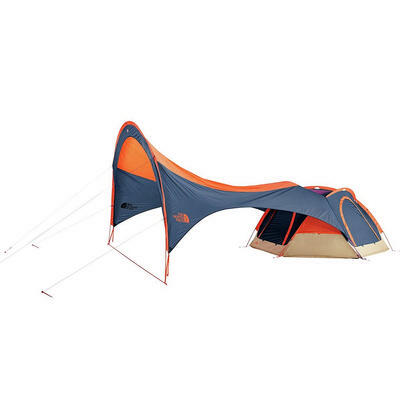 Families will love the North Face Kaiju 4 tent. With a large footprint and enough headroom to stand your next camping trip will make memories that will last a lifetime. 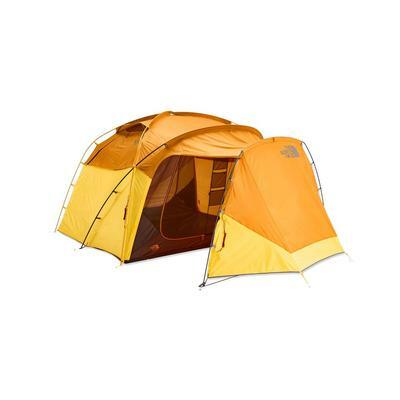 The North Face Homestead Roomy 2 person tent is perfect for the glamper who wants to experience the fresh air without sacrificing comfort. Two large doors are large enough to fit in a queen-sized inflatable mattress so you can sleep like a rock-without feeling any. 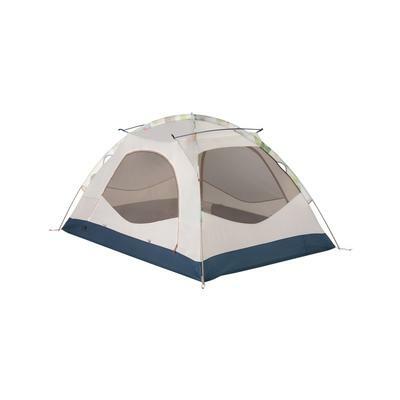 Make the simple life even simpler with The North Face Homestead Dome 3-person tent. The single walled design provides privacy without needing a cumbersome rainfly. The built in skylight is perfect for stargazing on clear nights and a small, easy to attach rainfly will keep you covered when the clouds roll in. 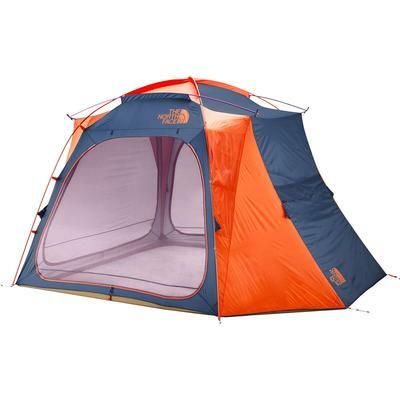 The North Face Stormbreak tent series comes in a one, two or three person option. These lightweight, compact backpacking tents are great for both the trail and the campsite. Dual doors make for easy access and the rainfly creates an outdoor vestibule to let your footwear dry out overnight. 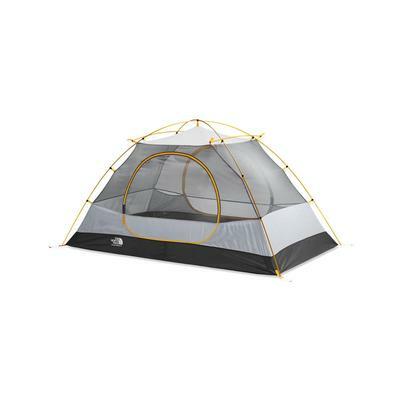 For the all season adventurer, The North Face VE 25 3-person four season tent and The North Face Mountain 25 2-person four season tent have been cold-crack tested down to -60®F and include four snow stakes. 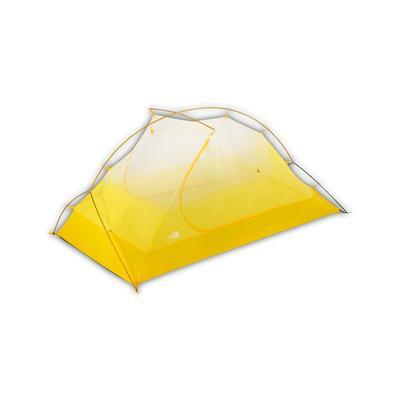 These tents are fully taped and have a nylon cut-in bucket floor for extra strength to stand up to harsh conditions. Excellent high/ low venting with additional venting options let you adjust how much protection from the elements is needed. Whether you are headed to your local campground, taking to the trail on an overnight trip or attending your favorite summer festival, a North Face tent will shelter you from the elements and make your outdoor adventure more comfortable than ever.